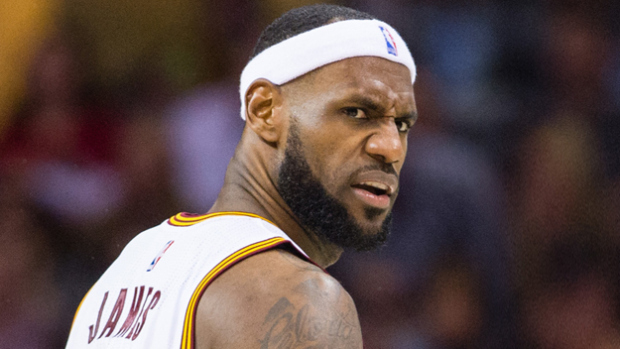 LeBron James’ Finals record (2-6) should make him form the sort of face we see here. When last Tuesday’s game hit the books, the NBA was left with a new and exciting NBA champion in the Golden State Warriors. My prediction of the Warriors in seven games was almost preserved by a late J.R. Smith scoring spree late in Game 6, but in the end this series ended in a predictable fashion while still providing plenty of insight. In a flashback from 2007, LeBron James once again led an undermanned and under-coached Cleveland squad to the cusp of an NBA Championship. Even though James did not take home the NBA Finals MVP as many thought he deserved to, he has solidified his place as one of the greatest “losers” of all-time. The term “loser” has to be affixed in a somewhat factious fashion to James, it is ridiculous to categorize him solely as a “loser,” but his Finals record of 2-6 reflects just how much his teams have struggled in the championship round. Meanwhile, this year’s Warriors were the team to finally end the suffering of a title-starved fanbase and in a style that seems appropriate to the Bay Area, the Dubs accomplished their goal by staying true to their identity. Golden State played Warriors-ball when it mattered most, starting with Kerr’s now infamous game four secrecy. The Dubs spread Cleveland’s defense out and repeatedly worked the ball around for great shots. Their play style makes it very easy for them to play with the lead, which is the main reason the Dubs preserved their undefeated record when winning by +15 points during any point of a game. A big shout out goes to Springfield native Andre Iguodala, whose great defense on James along with an unexpected offensive contribution led to him becoming an unlikely Finals MVP. Iggy gave up his starting spot in Golden State for the better of the team, so it is only fitting that he would win that starting spot back during the biggest moment in his career. This series could be the start of a longer rivalry between these two teams. They are both positioned well to make multiple runs at a chip. The Warriors will move on from David Lee and re-sign Draymond Green, as well as try to get some long-term commitments from some of the younger players. Cleveland will make sure LeBron James comes back, make some trades to add some roster flexibility, and then (most likely) re-sign Kevin Love. That leaves both teams with a formidable core. And the Cavs specifically should be very optimistic due to the fact that injuries derailed any chance they had at winning this series. But while this series did so much in terms of shaping the future of these squads, it also shed light on the future of basketball. 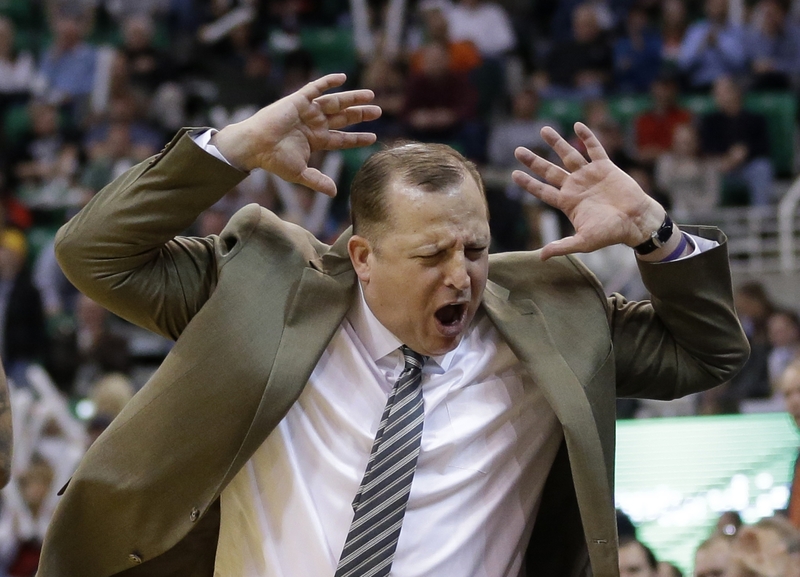 Refuse to be flexible as a coach, end up like RAPGAME Tom Thibodeau. Basketball, perhaps more than any other sports, is a game where a single player can force his will upon a team and win a game almost single-handedly. It is the reason the NBA is a super star-driven league. Due to the celebration of these individual talents coaching often gets overlooked in the NBA, but this year more than any was a picture perfect example of just how important and impactful coaching really is in the NBA. Even this die-hard Chicago Bulls fan can feel bad for David Blatt after the way he was ripped apart this year, and his ineffectiveness as a coach was often overblown. But he did have some moments that were memorable for the wrong reasons. Injuries decimated his lineups, so I can’t complain too much about his starting unit. However, when you are as offense starved as Cleveland was in the Finals I think you have to try every possible option. When it became clear that Shumpert and Smith were cold, Blatt could gave a few spot minutes to Joe Harris (37 % from three-point line during reg. season), Mike Miller, or even Shawn Marion just to see what impact they would’ve had against Golden State. The other end of the spectrum is Steve Kerr, who I originally thought was flexible to a fault. But Kerr’s creative use of his roster has crafted some especially cool moments this postseason. Kerr treated each series differently (as you should) and experimented with different combinations of players according to the ebb and flow the series. He stuck with his usual guys through the first few rounds of the playoffs before deciding that Festus Ezeli deserved more playing time in the Conference Final against Houston. He finished off his masterful coaching campaign by going small against Cleveland. Against the Cavs he had no traditional big man see anywhere near 100 minutes of total playing time during the series. His gambles were risky, but they paid off. This risk-taking is something we will see more of going forward, and is the reason we see more international and college coaches making their way into the NBA coaching fold. The old days of the stubborn, but respected coach who does things his way are over. This was proven with the firing of great coaches like Scott Skiles, Mike Malone, and Tom Thibodeau over the years. Those coaches will continue to find jobs (Malone [Denver] and Skiles [Orlando] already did), but in today’s NBA the most successful teams either have a coach who is also the general manager (President of Operations) or a coach that gets along extremely well with the management. The NBA is also a copycat league, so get ready for every title contending team to search for “their Steve Kerr”. 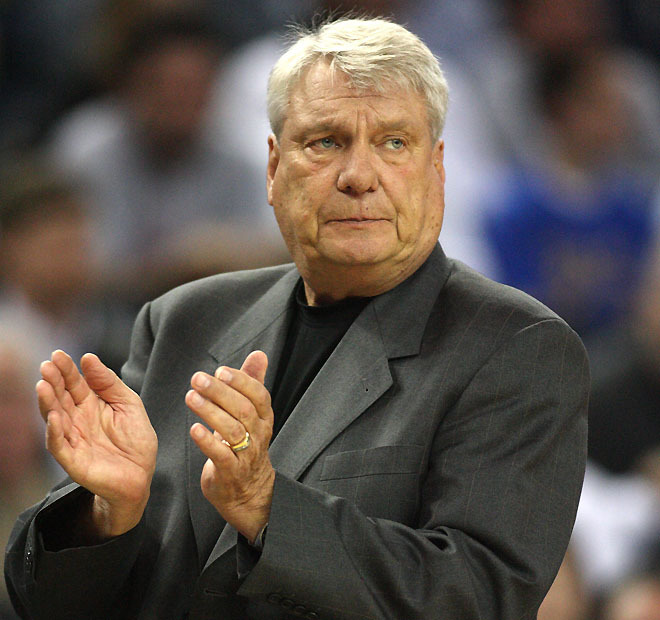 Meet Don Nelson, the man who drafted Steph Curry AND popularized small ball. “Small-ball” has been a factor in professional basketball for longer than many people realize. The league starting off emphasizing earthbound play in which height didn’t matter much. Fast forward from there to the long coaching reign of Don Nelson, who used “Nellyball”-in which he used five “short” players on the court- to win an astonishing amount of games. The point being, small-ball has always been option but now it is rising in popularity. This year both the flaws and benefits of playing small were revealed in the Finals. The Warriors often got pounded on the glass. They were out-rebounded by 17 in their game six victory. Whether or not your offense is helped by going small, you will have trouble rebounding. It is an obvious fact but nonetheless an important one. The oft-overlooked benefit is the fact that having five athletic non-bigs on the floor, you allow your defense to switch match-ups on the fly all over the floor. This helps you apply constant pressure and completely disrupt the other team’s offensive rhythm. The main reason small ball will be a huge factor moving forward in the NBA is simple: it exposes you. If your team has a bigger lineup on the floor it is expected that you will out-rebound small ball units. But if your bigs don’t have a very active post-game their size loses some of it’s importance. Timofey Mozgov and Tristan Thompson didn’t score enough to force Kerr to cutback on the small lineups. And in the games that the Cavs big men did score at a high rate, the team suffered in other ways because they were playing out of character. Small-ball forces you to react, and because of that it will continue to be a oft-used strategy. 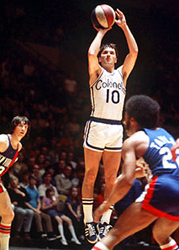 Shout out to one of basketball’s first 3-point specialists, Louie Dampier. In the 2015 NBA Finals the Warriors attempted 19 more shots from deep than the Cavs, and in turn they made 18 more treys than Cleveland. The three-point game always plays a big role in the championship round, but I don’t remember a Finals in recent memory where a perimeter based attack was so effective and aesthetically pleasing. In the fourth quarter of game six the Dubs hit five three-pointers all within a stretch that buried the Cleveland’s title dreams. This series more than any has warned the rest of the league: get used to the three-point line deciding the fate of games. Ignore it at your own peril.